Here in North America we have the Bald Eagle (our National symbol) and the Golden Eagle, Stellar’s Eagle and White-tailed Eagle. 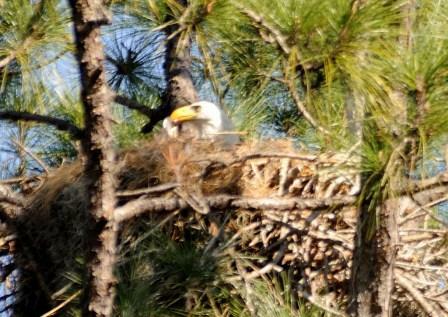 The Bald Eagle’s “bald spot” doesn’t appear until they are 4 or 5 years old and also develops a white head and tail. The Bald Eagle is only in North America. In Israel, where Jesus was born, you might see a Short-toed Eagle, Great or Lesser Spotted Eagle, Steppe, Imperial, Golden, Booted, or Bonelli’s Eagle. I love to watch an eagle flying; it stops me in my tracks. We are lucky here in Polk County to have many in the winter. 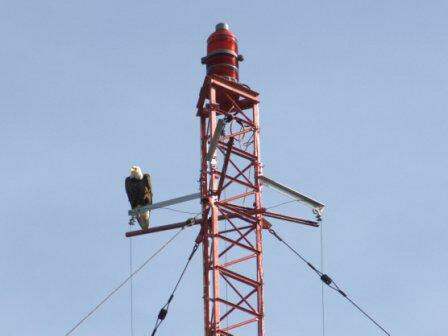 Stay alert and (if you live here) also visit the South Lake Howard Nature Center to see a pair sitting either on the tower or at the nest. Ask most anyone there and they will point out the nest. Can you find some of the other verses? Maybe your Bible has a list of verses (called a concordance)in the back. Hope you enjoy watching this video about an African Eagle catching a fish. The Lord gave the Eagle great fishing skills. This entry was posted in Bible Birds, Export to Leesbird, Kid's Section and tagged Birds, Birds of the Bible, Birdwatching, Christian, Creation, Eagles, Flying, Home School, Kids, Youth. Bookmark the permalink.